Accommodates plates from 10" to 13 1/4"
Lakeside is a leading manufacturer of self-leveling dish dispensers for the foodservice industry. Today, we’d like to show you the advantages of our Adjust-A-Fit dispensers, which have the ability to adjust for a 3 1/4” range within one dispenser. This particular one right here is set up for a 9” plate, and it has an adjustable range of 6 1/2" to 9 3/4". We would adjust for the spring tension by simply attaching or detaching springs from the carriage. If we wanted to switch over to a 6” bowl, we’d simply remove our plates. Let’s drop in our bowls in the center here. Now, I’m going to adjust our exclusive dish guides in to accommodate for the smaller china size. We’ll have to adjust our spring tension because of the lighter bowl simply by detaching a few more springs from the carriage. So, you can see that I set up for a 6” bowl from a 9” plate on the fly without tools. If you’re looking for total flexibility in a self-leveling dispenser, the Adjust-A-Fit dispensers are the one for you. See all the details at elakesidefoodservice.com. 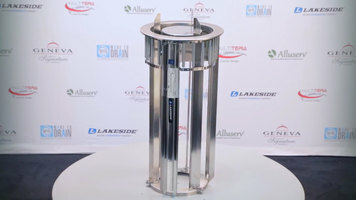 Lakeside's Adjust-A-Fit self-leveling dish dispensers give you unparalleled flexibility in the midst of a busy event! Check out how easy it is to switch this unit over from one china size to another. 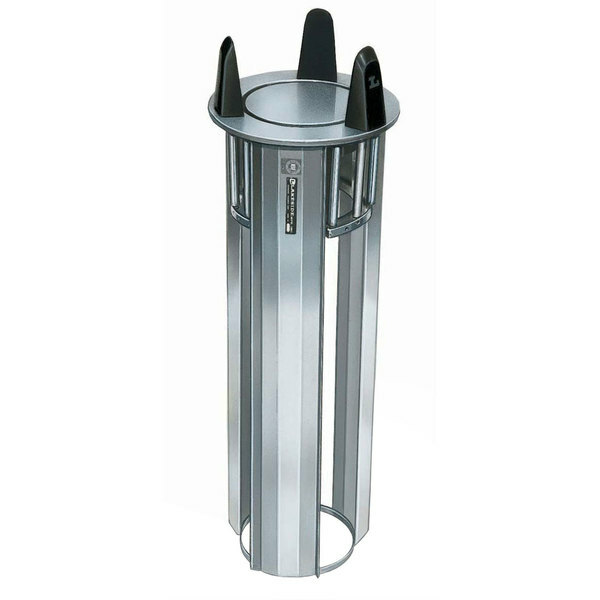 Streamline your service with this Lakeside 1942 Adjust-a-Fit® unheated open drop-in dish dispenser! Made of durable stainless steel, this dish dispenser offers a fast, easy, and effective solution for dispensing your quality dining china to hungry patrons. 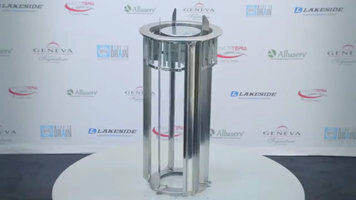 With this Lakeside dispenser, making adjustments is always easy and convenient. This drop-in dispenser has a maximum stacking capacity of 25", however, the height can be lowered to the preferred level simply by detaching and reattaching the springs - no tools necessary! Diameter can also be altered to allow flexibility in dish sizes. This way your dispensers don't need to be replaced every time you update your dinnerware. Capable of holding dishes from 10" to 13 1/4" in diameter, this unit is great for use in restaurants, salad bars, buffets, and more! The dispenser's stainless steel material is incredibly easy to clean and sanitize, helping to ensure pristine service every time. The open design, which features three, easy-glide vertical side channels, allows for a smooth, non-stick operation so that you always have a plate handy when you need it! Plus, this dispenser conveniently fits inside counter cut-outs, helping to save you valuable space and eliminate the need for bulky mobile dish dispensers. This Lakeside 1942 unheated open drop-in dish dispenser is a must-have addition to any establishment. Counter Cut-Out Diameter: 16 1/4"